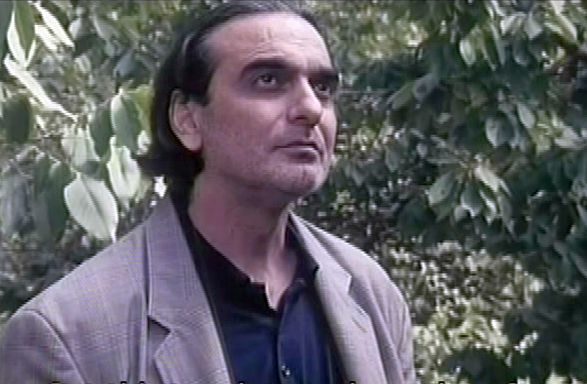 At first The Pear Tree (Derakht-e Golabi, 1998) seems more like a contemplative meditation than a story. There doesn’t seem to be a clear narrative journey, but only a collection of memories of the distant past on the part the man character. But as you follow along, you see that the film reflects the protagonist’s interior passage towards self-discovery. Directed by Dariush Mehrjui and co-scripted by Mehrjui and Goli Taraghi, the seemingly meandering and uneventful The Pear Tree actually turns out to be one of the most interesting Iranian films and one whose theme is universal. In fact when I saw the film, it evoked for me not so much thoughts of other Iranian movies or of Iranian society but of Ingmar Bergman’s Wild Strawberries (1957). The film stars Homayoun Ershadi and Golshifteh Farahani in the principal roles, and both gave memorable performances. Ershadi was a successful architect who came to the film world relatively late in life – his first leading role came only the year before, at the age of fifty, in Abbas Kiarostami’s Taste of Cherry (Ta'am-e-Gīlās, 1997). 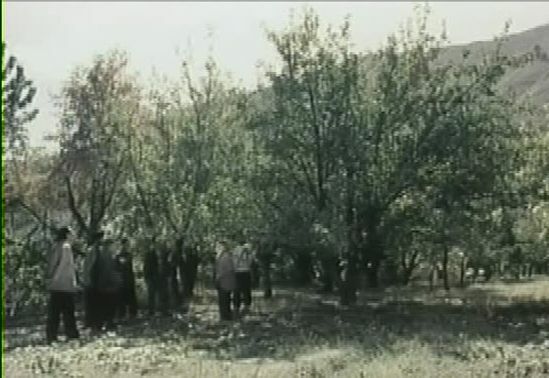 But although Kiarostami’s film won the Cannes Film Festival’s 1997 Palme D’Or, I would say that Mehrjui’s The Pear Tree is far superior. And Ershadi’s performance in the latter film is correspondingly much better, as well. 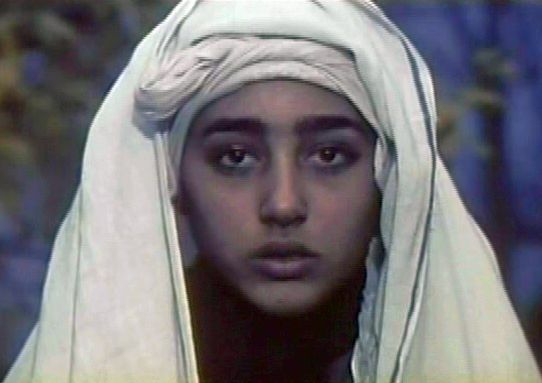 Golshifteh Farahani, who has established herself as Iran’s leading screen siren (although she has recently been exiled from her country by the Iranian government), made her debut with this film when she was only fourteen. Even here with her first film and barely a teenager, Ms. Farahani displayed the kind of innocent radiance that has left its indelible stamp on all her films. The story of The Pear Tree concerns a successful writer and intellectual, Mahmoud, who has gone on a retreat to his family’s rural estate near Mount Damavand, northeast of Tehran, in order to overcome a serious case of writer’s block: he has been unable to complete the current chapter of his book project for the past six years. 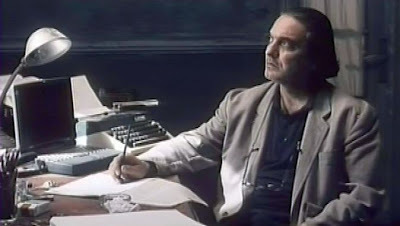 While he is there trying to write, he begins to think a about some past events in his life that he had long suppressed. What triggers these thoughts is the contemplation of a familiar pear tree in the garden behind his house. The story actually amounts to something of an internal struggle in Mahmoud’s own mind concerning what were the driving concerns of his life and what was his true, authentic nature. It reflects the eternal tension between the needs of the inner life (the life of the ego-dominated self) and the outer life (the immersion of the self with the external world of others). It is a dualism that has been given many variants, from Romanticism versus Classicism to the Nietzschean dualism of the Apollinian versus the Dionysian. A way of looking at this dualismis to say that on one side of this divide, there is the internal self that is isolated from the rest of the world and looks out onto it in an calculating and analytical fashion. This is the “inner/ego” stance. On the other side of the dualism, there is the urge to abandon that isolation and become one with another, external being – the “outer/selfless” stance. We all pass back and forth between these two conflicting modes, never settling in one place. For Mahmoud, the awareness of this tension came for him when he was twelve years old and spending his summer at this same rural estate where he is now trying to cure his writer’s block. The story passes through five uneven stages as it explores the tension between Mahmoud’s (and our) two ways of being. At the beginning of the film, Mahmoud is in his study at his estate, “Damavand Garden”, trying to put pen to paper. He is locked into the inner/ego mode. His concentration is interrupted by his old family gardener, who pesters Mahmoud about their pear tree that “refuses” to bear fruit this season. The gardener feels that Mahmoud is all-powerful and can cure this petulant pear tree by a simple command, but Mahmoud just wants the gardener to go away and stop bothering him. After all, he has promised eight articles to four newspapers and his students and publishers are awaiting the completion of his current long-overdue book project. As far as Mahmoud is concerned, what goes on in the garden is inconsequential, for he is addicted to the life of philosophy and art. But the gardener and the local village chieftain, who is also a gardener, won’t let go. They remind Mahmoud of the time (probably at least thirty-five years earlier) when he watched his cousin, Ms. Mimcheh, ride a donkey near that same pear tree. This reminder awakens in Mahmoud some long suppressed memories, and the film moves to a series of flashbacks when he was twelve years old and kept company at the estate that summer years ago with his female cousin, known to everyone in these recollections only as “M” (in Farsi: “Mim”, the diminutive of which is “Mimcheh”) . Mim was an attractive, naughty tomboy, who is said to be “a few years older” than Mahmoud. The recollection of Mim shifts Mahmoud’s thinking over to the outer/selfless mode. Mahmoud at that recollected time was a shy young lad and totally infatuated with the insouciant young lady . In these sequences there are many recollections of Mahmoud’s romantic obsession with his beautiful cousin. Although Mahmoud is totally enamored and a willing slave to her every whim, she dismisses his ardor with cordial derision. She makes the lovesick boy do her bidding. For example since Mimcheh despises her opium-addicted uncle, who is a retired military colonel, she assigns Mahmoud the task of stealing his military uniform so that they can use it for their costumed play-acting. Mahmoud dutifully carries out the task as ordered, and thereafter Mim dresses up as a colonel, giving even more orders for Mahmoud to carry out. They do share a common passion, though – for poetry and philosophy – and they discuss together the books that they read. Mahmoud dreams of being a great writer, while Mimcheh dreams of being an actress and often spends her time organizing dramatic episodes in the orchard for herself to star in. There is one particularly affecting scene showing Mahmoud secretly watching Mimcheh taking an afternoon nap. It is subtly filmed and skillfully suggests both Mahmoud’s watchful admiration for his sleeping goddess and the way such moments and images can long linger in one’s memory. But there are threats to this idyl looming. Mim, though young, is of marriageable age, and Mahmoud is worried that her family will arrange a marriage for her before he gets old enough to contend for her hand. He begs her to wait for a few years for him to grow up. Moreover, Mim gets a letter from her father, a political refugee living in Paris, inviting her to come to live there with him. That offer is evidently soon accepted, because except for a brief encounter with Mahmoud in Tehran the following winter, Mim disappears from his life. That long-ago period when he was twelve is the last time that Mahmoud and Mimcheh ever spend time together. The scene shifts back to the present and Mahmoud’s inner/ego mode. He is still unable to write, and begins to berate himself for wanting to write merely to satisfy his ego-driven desire to be famous in the community. The gardeners are still pestering him to do something about that recalcitrant pear tree. Exasperated with this trivial interruption of his creative process, he tells them just to go ahead and cut it down. But the village chieftain exhibits his compassionate side and urges the others the pear tree a little more time. Alone again, Mahmoud wrestles with self-accusations in the form of imaginary discussions with his university students, who look up to him and are impatiently waiting for his next work to be published. But as he tries to force himself to write some sentences, he pauses and falls again into a reverie about Mim and what happened later. Mahmoud thinks back about the start to his professional career as a writer, and again there are flashbacks. In this section, there is a more intimate struggle between the inner/ego and outer/selfless sides to Mahmoud. He is retrospectively trying to reconcile the two. But he is at this point recollecting a period in his life that was more matter-of-fact and “objective”, and so all the flashbacks of this section are shown in black-and-white. He recollects that his first published work was a book of poems dedicated to Mim, who was then living in Paris. As he recollects, he says to himself that he was then still in love, but in a more mature way – “this is a new and truthful love which is more worldly”. His professional life had become dominant. He didn’t abandon her; he was just preoccupied. In another flashback, he recollects a terminating, cataclysmic moment. He was finally jailed by the Shah’s police for his political activities and thrown into a cell. From one of his cellmates, a distant relative of Mim, he learns that Mim had died in an accident in France. Student: “Were you serious when you wrote to Mim and told her that you would come to her ‘next year’”? But our powers are limited, and despite all our efforts, some things cannot be undone or redone. Mehrjui’s cinematography in The Pear Tree is superb. There are very many tracking shots, dissolves, and soft focusings, but they are unobtrusive and are all effectively and seamlessly woven into the film’s fabric. 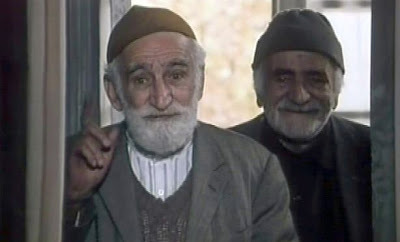 The film stands as one of Mehrjui’s most accomplished pieces of cinematic storytelling. Nevertheless, the most memorable imagery is associated with Golshifteh Farahani’s performance as Mimcheh. Her impact on the film is a reminder that the most important aspect of filmmaking is not what you do with the camera, but what you have in front of the camera. Both film titles focus on a tasty fruit, which symbolically suggests nature and perhaps youth. Both protagonists are elderly intellectuals who were shy and felt awkward in intimate situations. Both protagonists recollected their pasts and felt that they had perhaps made the wrong choice in life and had missed out on a big chance at true fulfilment. However, both protagonists come to some form of acceptance at the end of the story. Wild Strawberries is a fine film, but for me The Pear Tree is even better than the more famous Bergman film (which is considered one of that master’s best). The Pear Tree is more immersive, more luscious, more passionate than Wild Strawberries. And it resonates deeply with my own personal experience. At the end of The Pear Tree, the viewer is given to believe that Mahmoud has come to terms with his life. In precisely what way, though, is not clear. Is he now more settled concerning those lingering memories about what Mim may have meant to him, and is he now ready to go on with his work? Or has he just given up and now feels there is no compelling reason for him to continue to write at all? Should he just let things be and be content with whatever is? The film’s final tone suggests personal contentment, but I see no real narrative progression to such a state. We don’t know much about what happened in Mahmoud’s life in the two decades following his prison term in the Shah’s jail. We know he became a very successful intellectual and writer. He mentions early on, when he reflects on why he has gone alone to his family estate to write, that he is now free – “no wife and children”. So we can presume that after Mim’s death Mahmoud went on to marry and raise a family. But Mim represented something more than just an attractive woman to him. One might say that she was his aesthetic ideal, his poetic muse – an image that fired the affective side of his consciousness and helped make him the writer he became. But was that all she meant to him? I wonder. It seems that Mahmoud could not bring himself to pronounce her full name. In Iran, first cousins can marry each other. Thank you very much! I enjoy reading your Sufistic commentaries on these great movies.